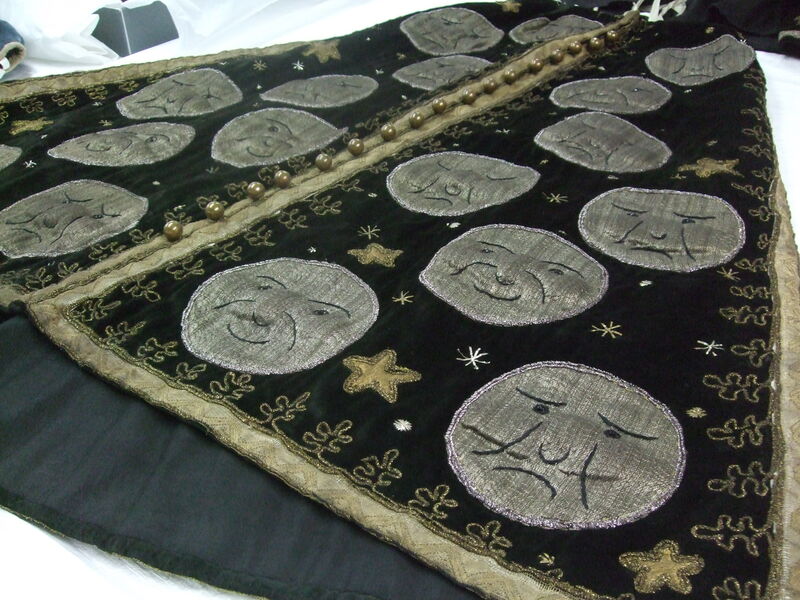 Detail from Carabosse’s skirt, Sleeping Princess, 1921. In February last year I was asked by designer Richard Hudson and choreographer Alexei Ratmansky to research the Ballets Russes’ 1921 production of the Sleeping Princess (Sleeping Beauty) for a new reinterpretation of the ballet. The production was originally designed by Leon Bakst and no expense was spared. The new ballet is a joint venture between American Ballet Theatre and La Scala Milan and will open in March this year. I have always wanted to work for these companies, and to be working for both at once is amazing! The new ballet is going to be in the style of the original but for this to happen both Ratmansky and Hudson needed to know what the original looked like. Bakst’s design for Aurora in the Rosa Adagio, 1921. I had six weeks to research the sets, props and costumes of this huge production, which had run for over one hundred performances at the Alhambra Theatre in London before closing as a financial failure in 1922. 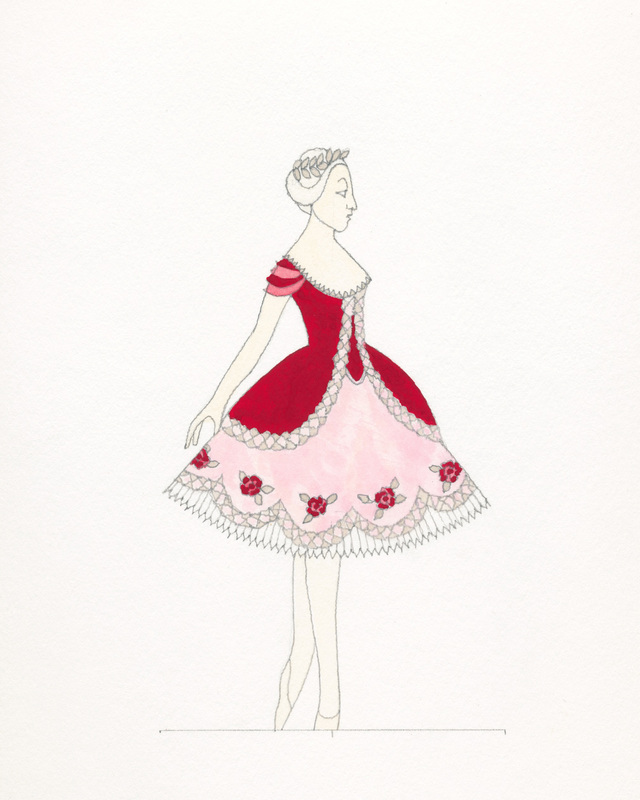 The ballet contained six changes of scene and over 300 costumes. It was like trying to put together a jigsaw without seeing the image on the box! Few photographs survive and I had to rely on first-hand accounts, illustrations and the surviving costumes. http://nga.gov.au/Exhibition/BalletsRusses/Default.cfm?MnuID=3&GalID=23 A link to the surviving costumes housed at the National Gallery of Australia. 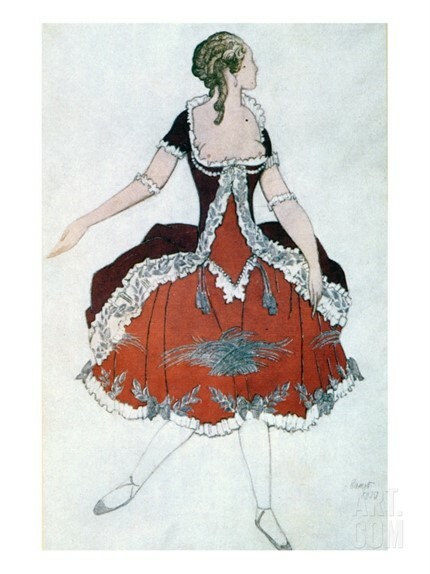 After the ballet’s early closure the costumes and sets were impounded by Oswald Stoll. Even after their return to the company the ballet was never performed in its entirety again. The costumes, with many others from the Ballets Russes, were sold in three auctions through Sotheby’s in the late 1960s and early 1970s. The lots were prepared quickly and as a result many were sold without correct attribution. A lot of my work, over the last few years, has involved re-attributing these costumes. They are the last thing that can tell us what this amazing company looked like and how it functioned. The original costumes from the Sleeping Princess are now housed in public and private collection all over the world including the V&A, Museum of London, Dans Museet Stockholm, National Gallery of Australia and Wadsworth Atheneum, Hartford. This new Ballets Russes inspired production of the Sleeping Princess, which will return to the title of Sleeping Beauty, opens on the 3rd of March in California, the 19th of May in New York and on the 26th of September in Milan. I hope Diaghilev would approve!